1. You're Willing to Put in the Time. The fact is that the more time that you spend on coding, the better you will get. There is no question about that. We do have students who haven’t done a lot of coding; they work really hard, they spend a lot of time with the pre-boot camp material and they do extremely well. It really depends on how much time they’re willing to put in and how hard they work. Just like learning a new language; you’ve got to put in the time. You hear that some people were just not born to be programmers. I would completely disagree with that. I say everyone can do this. Some people can do it better than others, but of course it’s only fair for people who pay their dues to do better. It’s about the attitude that they have. 2. 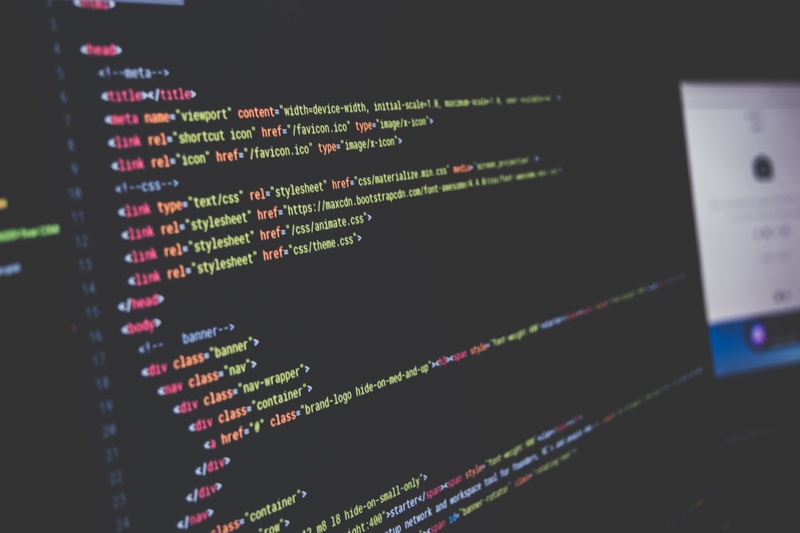 Your Passion for Coding may Trump Skill. It’s as much about desire as it is about technical knowledge. We’re not expecting students to start with a ton of knowledge but what we’re finding is that many students have some experience. I think before you sign up for something that’s this intensive, you try other things first. There are so many free or fairly inexpensive online resources out there. It’s a quality that is hard to quantify, but students that really want it are the ones that are going to succeed. That’s really the kind of student we’re looking for; a student who is interested in development and cares about it and is willing to put in time to learn independently. All of these bootcamps are really good at getting students from “zero to one” but they get themselves from one to five or however far they want to go. Development isn’t something that’s static. You need to keep learning once you’re done. So the student that is able to keep learning afterward is the ideal student for us. We’re looking for people that want to make a real change in their life. We’re looking for people that are going to push themselves very hard because we are going to throw lot of material at them. This is not for somebody who wants to kick back 9-to-5 and cruise through life. This is a real game-changer for them. They will leave any of our courses and change their lives- they are now in control of their destiny. So we look for people that we think are going to work well with others. The truth is that not everyone is a solitary learner. Most people are social learners. Up until fairly recently, the most accessible way to learn programming has been to be a solitary learner. You can’t really expect the community to be super diverse if there’s that barrier in front of it. Your solitary learners turn out to be solitary workers a lot of the time. So we think that bringing a more social learning environment where you’re collaborating from the get-go will really help us bring a wider audience to development. This is user experience. The whole thing is about empathizing. If you’re a people person, you’ll be fine. It’s not that hard to do this. It’s just learning a craft and having the interest to do it. Some very basic programming experience is obviously required. As a prerequisite for this course, we suggest TryRuby.org, which is a 15-minute introduction to the language, if you can read through that and it makes sense, you ought to be able to handle it. If you’re already a junior rails developer with a year or two of experience, you will almost certainly get something out of it as well. The ideal student is rare but he or she probably has learned to do some coding by themselves already. We understand that. Our expectations are catered towards people that are ready for this. They need to have pretty good critical thinking skills and have given thought to it. They should have a little bit of experience with trials and tribulations from what they’ve done in the past and overcoming them. That’ll be ideal for succeeding or getting the most out of this program. I don’t think we want to start with a complete newbie who has never written a line of HTML code or anything. I think we want somebody preferably that has some object-oriented background. The ideal student may or may not have a comp sci degree, but they’ve got some coding experience. It’s easier to talk to somebody coaching-wise if they’re saying, “I really don’t want to work for this type of company.” You should know if you want to do something entrepreneurial, if you want to sit in a massive team or a small team- knowing that about themselves helps a bit. We look for a pathway- what got you here and where you want to go. We look for past experience; professional, academic; we want to see a pattern of experiences, you’re going to stick with something. And there’s pre-work that’s associated with the class so we expect them to complete a certain amount of pre-work before Day One. We check in frequently and if students don’t complete the pre-work, this might not be the program for them. There are a lot of people coming in with an idea who are willing to take a risk on a new idea. They’re using the course as a way to learn the skills to build a MVP. We put a lot of emphasis on the pitch at the end of the course as we feel it helps these students and also those looking to work somewhere, at it rounds out their business skills. I think there’s more than one kind of ideal student. I think you have to seriously think about how much you like programming. It’s a very intense experience so you have to be someone who knows they like coding. We’re very lucky. We select a group of people who are very excited to be coding. A good dose of curiosity is also useful; because there’s so much to cover, having some sort of internal driver is also very important. I think one of the most important things is just having a very strong drive because it does take a lot of work to excel. Sometimes you just get a sense of a person’s drive by the types of questions that they ask; whether they like to figure things out on their own or be given an answer. 8. Most Importantly, You Have GRIT and Tenacity! When we meet students, we’re basically thinking about a couple of things. One thing is that the incoming student is culturally and motivationally aligned, meaning they have the kinds of motivations for attending the program that we believe will actually have staying power. If you have somebody who has decided “I want to build this app and make a million dollars” or “I want to start a new company and need to know how to manage these monkeys who are going to be coding for me,” then what I’ve seen as a teacher is that they aren’t able to muster the grit to deal with the lowest of lows that you arrive at on a Friday night after a week of utter confusion and failure. Being able to muster the grit that you need to push through those trenches is what we need all of our students to have. It gets really confusing, and that confusion ought to be a sort of delight. Confusion is the last recognizable milestone before you learn something, so in fact, you ought to use confusion as a guidepost to learning. Students who are here seeing Dev Bootcamp as a ‘means to an end’ will tend to slip back into their competencies and will avoid the toughest problems. Our interview process is created to filter out students like that- and to encourage them to realize this in themselves while selecting for students with a deep passion for the craft of software development, or at least what they know of it when applying. 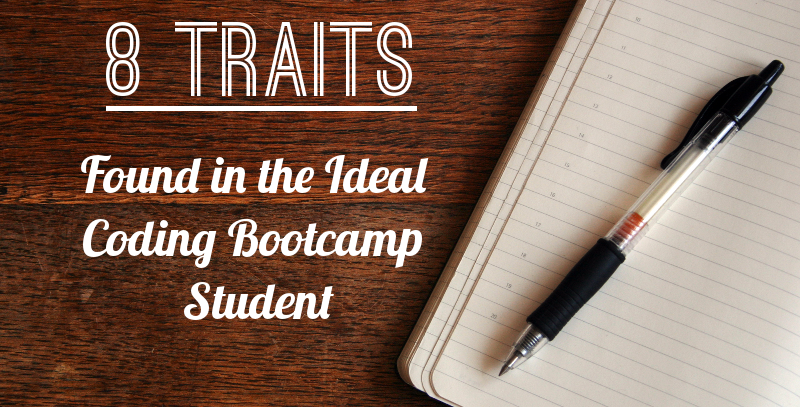 Are there other qualities that bootcamps are looking for in applicants? Let us know in the comments!